New polyester moisture management t-shirt, ideal for sublimated print. 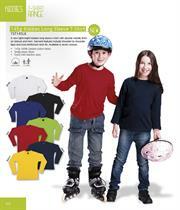 It features a crew neckline and raglan sleeves for fit versatility. Finished with top-stitching and self-fabric neck tape. Available in six primary colours. Double needle finish on sleeve and bottom hems. Shoulder-to-shoulder seam taping for improved comfort and durability. Knitted using top quality carded yarns for superior fabric. 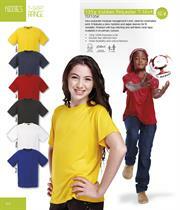 Available in thirteen brilliant rich colours, great for school and sport. 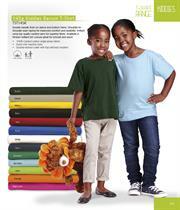 Self-fabric neck tape and double-needle hem ensures a high quality finish. Available in six sporty colourways. 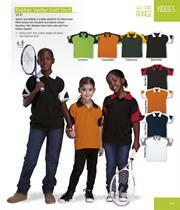 A high-tech performance garment for the juniors. 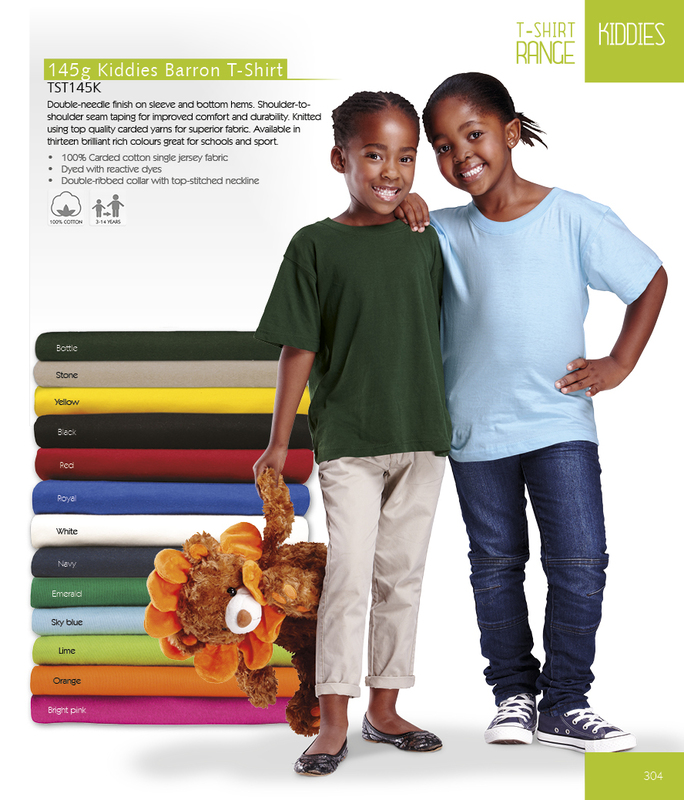 Enjoy the durable poly cotton fabric blend for comfort and toughness. Two button reinforced placket with top-stitching. Also features coordinated fabric tape on collar seam. Sporty and striking in a large selection of colourways. Fresh styling with shoulder and sleeve colour-blocking. 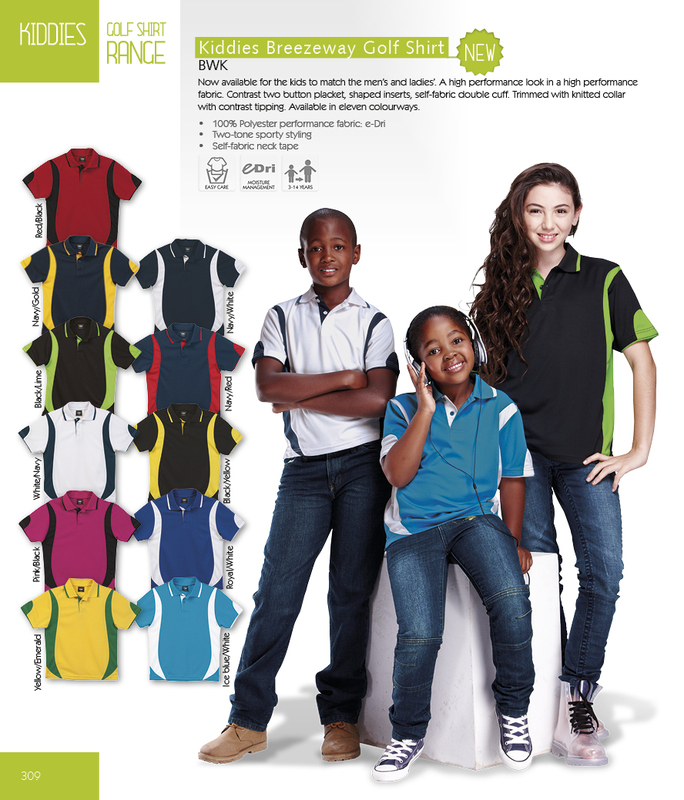 Also features back neck yoke and two button placket. Iconic South African garment - for dads, now available for the lads...and little ladies too. Features include two pleated pockets with flap, double layer yoke with back pleat, double-needle finish for strength and durability. 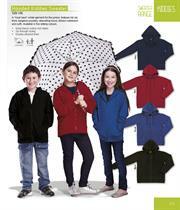 A "must-have" winter garment for the juniors. 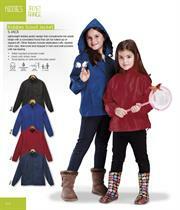 Features full zip front zipper, kangaroo pockets, drawstring hood, ribbed waistband and cuffs. Available in six striking colours. 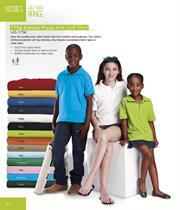 A feature-packed fleece top for the youngsters. 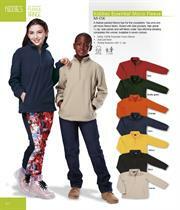 Top-end anti-pill micro fleece fabric. Styled with side pockets, high grade 1/4 zip, side panels and self-fabric collar. Top-stitching detailing completes this winner. Available in six colours. 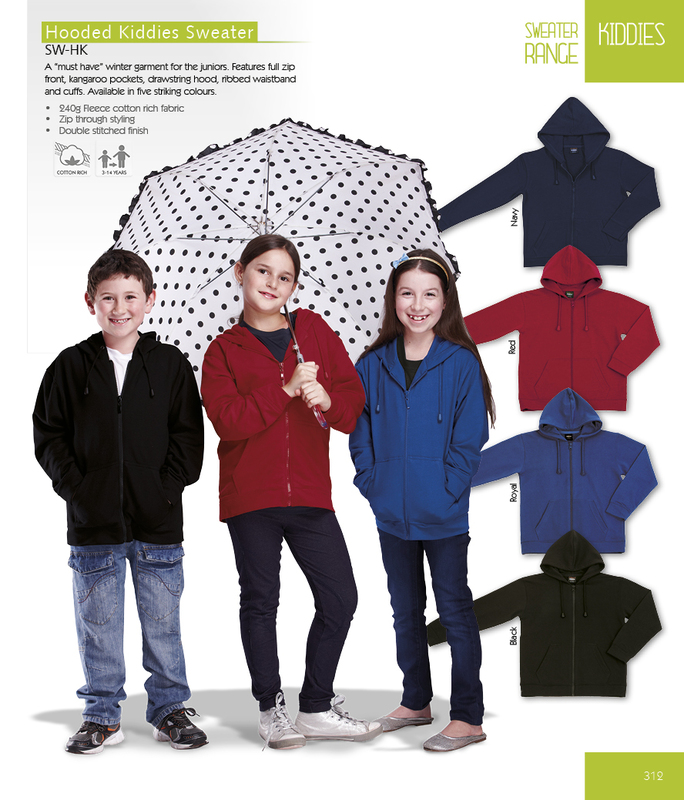 New light weight kiddies jacket design that compliment the adults range with a concealed hood that can be rolled-up or zipped off. Other features include elasticated cuffs, durable nylon zips, drawcord and stopper in hem and side-pockets with bar-tacking. A new lightweight kiddies long sleeve t-shirt with double needle finish on sleeves and hem. Garment features include shoulder-to-shoulder tape and lycra reinforced neck rib. Available in seven colours. 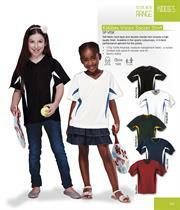 Now available for the kids to match the men’s and ladies’. A high performance look in a high performance fabric. 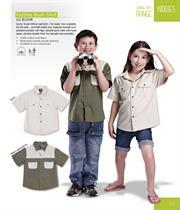 Contrast two button placket, shaped inserts, self-fabric double cuff. Trimmed with knitted collar with contrast tipping. Available in eleven colourways. Kiddies Clothing - Extensive range of kiddies garments catering for all ages.